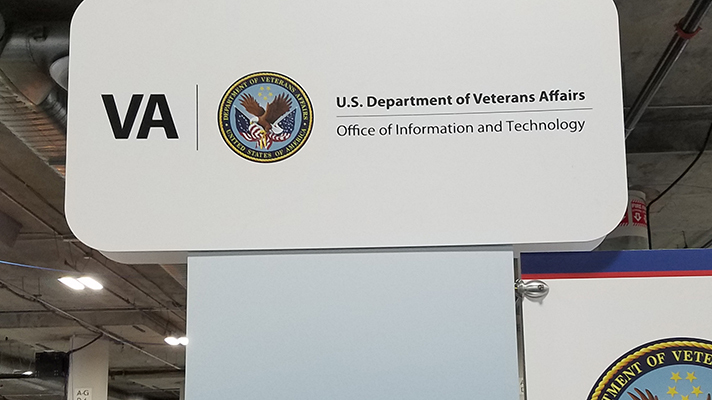 A big appointment scheduling contract between the U.S. Department of Veterans Affairs and Epic that's been up in the air in recent years may soon be resolved – and may go instead to rival Cerner, which is overseeing the VA's larger electronic health record modernization project. The Medical Appointment Scheduling System, based on Epic's Cadence software, has already gone live, reportedly under budget, at a VA facility in Ohio. But Cerner's contract wins at the VA have changed the calculus for how the project might expand and move forward – and which company will maintain the scheduling platform. The five-year $624 million MASS contract was first awarded to Epic and Lockheed Martin in 2015 – two years before Cerner had scored the massive $10 billion no-bid deal for a new EHR at the VA. In 2016, the contract was put on hold while the VA experimented to see if the project could be accomplished with some of its own homegrown VistA software, but by 2017 the agency announced it would move forward with Epic for the scheduling technology. But even then there were doubts about the future trajectory of the deal, given the size and scope of Cerner's other commitments at the VA, and in 2018 the department hinted that it might scrap the deal. In a letter to VA officials earlier this month, Rep. Jim Banks, R-Indiana, chairman of the House VA Subcommittee on Technology Modernization, called on the department to make a decision on the MASS project soon – and outlined the questions he wants answered to ensure the choice is an informed one. "Without a doubt, scheduling is one of the most archaic VistA modules," he wrote. "These scheduling inefficiencies and a serious lack of internal controls created the environment resulting in the veteran wait list crisis." Banks noted the apparent success of the MASS pilot in Columbus, Ohio, but also acknowledged "that VA’s preference is to implement the Cerner Millennium scheduling package, because it has either already been purchased or a commitment has been made to purchase it." He also said it was "extremely frustrating" that earlier VA leaders had awarded MASS contract to Epic but "stopped and started it repeatedly." Had the Cadence implementation been allowed to roll out unimpeded, "it could have been nearly complete by now," said Banks. Whichever vendor was chosen, how would their system "increase efficiency, reduce wait times, and make better use of health care resources?" "How much does the Cerner Millennium scheduling package cost? If it is not severable from a larger software package, how was that determined, and how much does that software package cost?" How would decoupling the MASS system from the rest of the VA EHR deal affect the total cost estimate and and timeline? "How much would it cost to deploy the Cadence scheduling system according to the accelerated timeline contemplated for the Cerner Millennium scheduling package, instead of the original timeline and notional scope of work in the MASS contract?" "Would there be meaningful schedule differences in an accelerated Cerner scheduling implementation compared to an accelerated Epic scheduling implementation?" And has VA "considered publishing scheduling resources in conjunction" with the FHIR API initiative it launched earlier this year? "Regardless of the decision, I encourage you to retain Epic Cadence in Columbus, Ohio over the medium term," Banks added. "Time and money have already been invested to implement it, and by all accounts it is functioning well."